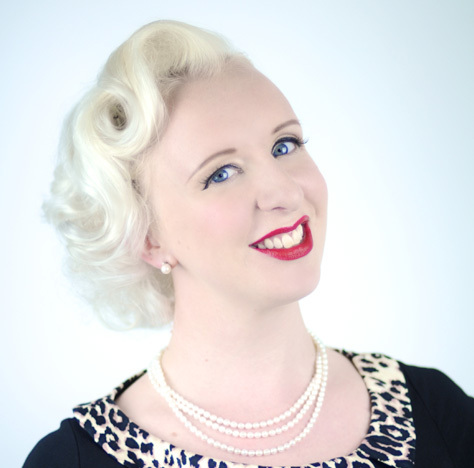 The creative force behind Restoration Cake and author of Burlesque Baking and Deliciously Decorated. 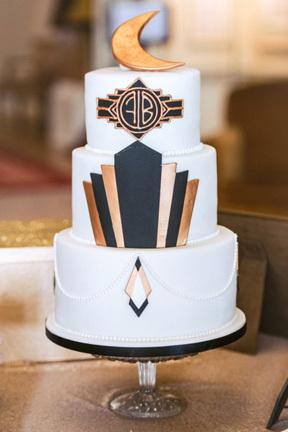 Through her bespoke cake designs, books, classes, and live demonstrations, Charlotte is working tirelessly to bring glamour back into the kitchen, one cake at a time. Charlotte writes and presents podcast Fantasy Bakes, which is available on iTunes, Spotify, and several other platforms. 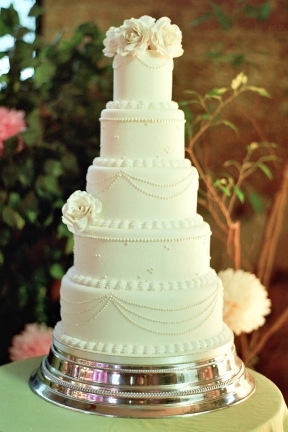 Restoration Cake is a 100% Bespoke Celebration Cake Service, specialising in decadent designs, fit for a King. What a cake! And so delicious! Thank you @restorationcake it’s so beautiful it made me cry! 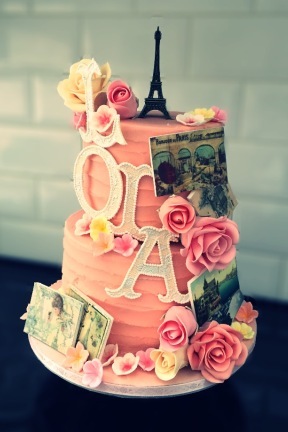 Charlotte regularly demonstrates baking, cake decorating, and sugarcraft at events across the UK. 2019 live dates are available to view on the Events page! Charlotte hosts and curates The Cake & Desserts Theatre at Foodies Festival across the country, creating a unique blend of entertainment with demonstrations from the country’s most interesting foodie talent. 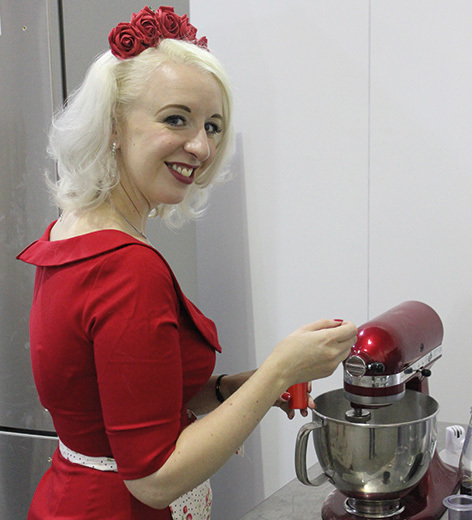 Charlotte has performed at The Cake & Bake Show, Ideal Home Show, Foodex, Eroica Britannia and The Goodwood Revival, combining her love of all things vintage and retro with baking in her demonstrations! Charlotte is an experienced presenter on stage and screen and was featured as a co-presenter of the Let Them Tweet Cake campaign on ITV’s Lorraine. If stiletto heels, high glamour, and cake are missing from your event, Charlotte can be reached through the Contact page and is taking bookings for 2019/20. I truly believe Cupcake decorating was one of the highlights of the evening. You made it really special and fun for everyone. Your wonderful personality and absolute professionalism made working with you a treat. Nothing to do with cake, right? 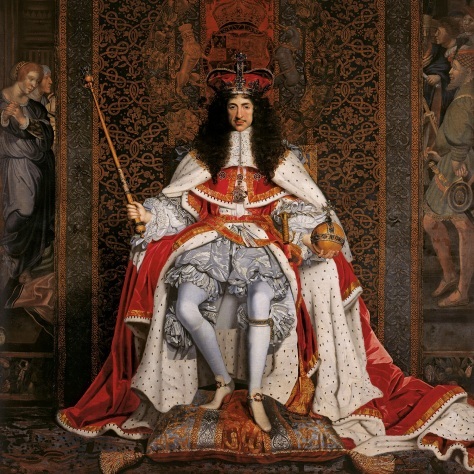 I named my company after the Restoration 1660-1685, the reign of King Charles II, the Merry Monarch; it was a time of opulence, pleasure, and indulgence. not frozen for the future. what make life worth living. I despise Puritanism in all its forms. 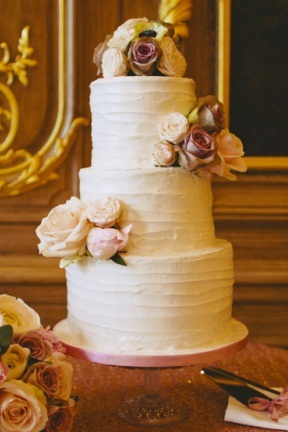 Above all, I believe in beauty, love, and delicious cake.